As head of Hovde Group’s Equity Research Department, Mr. Fenech leads a team responsible for coverage of the U.S. regional and community bank sector. In addition to serving as Head of Research, Mr. Fenech maintains coverage of regional and community bank stocks throughout the United States. He has more than twenty years of experience covering the bank sector as an equity research analyst and former investment banker. Mr. Fenech is also a member of Hovde Group’s Management Operating Committee, which is tasked with the day-to-day management of the firm and implementation of the longer-term strategic vision and plan. 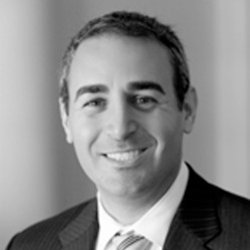 Mr. Fenech joined Hovde in 2014 to help spearhead the buildout of the firm’s Equity Research, Sales and Trading platform, having previously served as Managing Director for Sandler O’Neill & Partners, L.P., in New York, where he covered bank stocks across the U.S.
Mr. Fenech has been ranked three times as a top commercial bank analyst by the Wall Street Journal in its “Best on the Street” analyst survey, including once as the top stock picker among commercial bank analysts in the U.S. Mr. Fenech is frequently interviewed by industry publications and other news organizations, including CNBC, Bloomberg, The Wall Street Journal, American Banker, and S&P Global Market Intelligence. Mr. Fenech graduated with a Bachelor degree in Finance from James Madison University, and holds the following FINRA licenses: 7, 24, 63, 86, and 87.